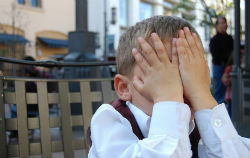 Website blocking has become one of the leading anti-piracy mechanisms in recent years and is particularly prevalent across Europe, where thousands of sites are now off-limits by regular means. 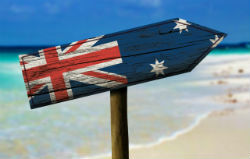 More recently the practice spread to Australia, where movie and music industry bodies have filed several applications at the Federal Court. This has rendered dozens of major torrent and streaming inaccessible in the region, after local ISPs complied with orders compelling them to prevent subscriber access. While such blocking is now commonplace, Village Roadshow and a coalition of movie studios have now switched tack, targeting an operation offering subscription-based IPTV services. 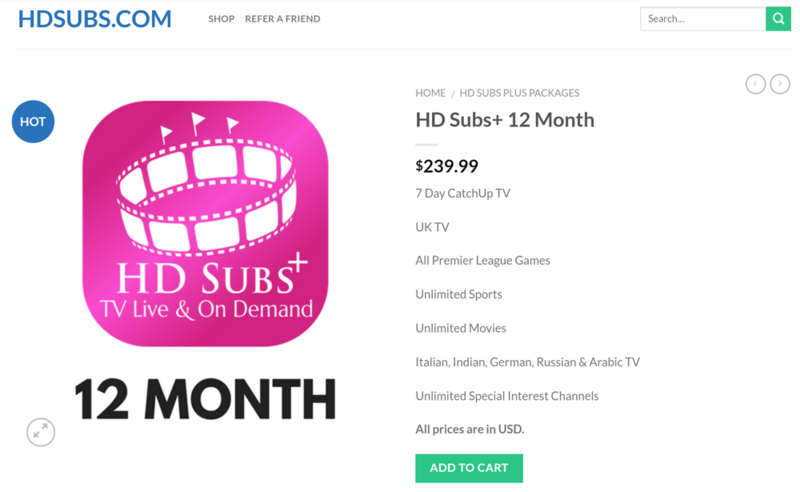 The action targets HDSubs+, a fairly well-known service that provides hundreds of otherwise premium live channels, movies, and sports for a relatively small monthly fee, at least versus the real deal. ComputerWorld reports that the application for the injunction was filed last month. In common with earlier requests, it targets Australia’s largest ISPs including Telstra, Optus, TPG, and Vocus, plus the subsidiaries. Access to HDSubs.com appears to be limited, possibly by the platform’s operators, so that visitors from desktop machines are redirected back to Google. However, access to the platform is available by other means and that reveals a fairly pricey IPTV offering. As seen in the image below, the top package (HD Subs+), which includes all the TV anyone could need plus movies and TV shows on demand, weighs in at US$239.99 per year, around double the price of similar packages available elsewhere. If the court chooses to grant the injunction, ISPs will not only have to block the service’s main domain (HDSubs.com) but also a range of others which provide the infrastructure for the platform. Unlike torrent and streaming sites which tend to be in one place (if we discount proxies and mirrors), IPTV services like HD Subs often rely on a number of domains to provide a sales platform, EPG (electronic program guide), software (such as an Android app), updates, and sundry other services. As per CW, in the HD Subs case they are: ois001wfr.update-apk.com, ois005yfs.update-apk.com, ois003slp.update-apk.com, update002zmt.hiddeniptv.com, apk.hiddeniptv.com, crossepg003uix.hiddeniptv.com, crossepg002gwj.hiddeniptv.com, mpbs001utb.hiddeniptv.com, soft001rqv.update-apk.com and hdsubs.com. This switch in tactics by Village Roadshow and the other studios involved is subtle but significant. While torrent and streaming sites provide a largely free but fragmented experience, premium IPTV services are direct commercial competitors, often providing a more comprehensive range of channels and services than the broadcasters themselves. While quality may not always be comparable with their licensed counterparts, presentation is often first class, giving the impression of an official product which is comfortably accessed via a living room TV. This is clearly a concern to commercial broadcasters. As reported last week, global IPTV traffic is both huge and growing, so expect more of these requests Down Under. Previous efforts to block IPTV services include those in the UK, where the Premier League takes targeted action against providers who provide live soccer. These measures only target live streams when matches are underway and as far as we’re aware, there are no broader measures in place against any provider. This could mean that the action in Australia, to permanently block a provider in its entirety, is the first of its kind anywhere. 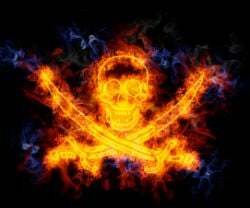 With the devices hitting the headlines on an almost weekly basis, it probably comes as no surprise that ‘pirate’ set-top boxes are quickly becoming public enemy number one with video rightsholders. 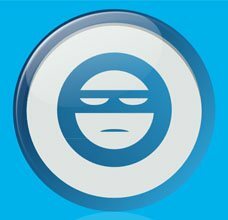 Typically loaded with the legal Kodi software but augmented with third-party addons, these often Android-based pieces of hardware drag piracy out of the realm of the computer savvy and into the living rooms of millions. One of the countries reportedly most affected by this boom is the UK. 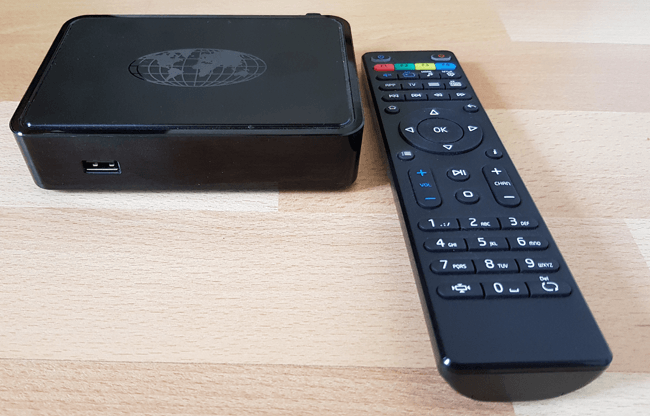 The consumption of these devices among the general public is said to have reached epidemic proportions, and anecdotal evidence suggests that terms like Kodi and Showbox are now household terms. Today we have another report to digest, this time from the Federation Against Copyright Theft, or FACT as they’re often known. Titled ‘Cracking Down on Digital Piracy,’ the report provides a general overview of the piracy scene, tackling well-worn topics such as how release groups and site operators work, among others. The report is produced by FACT after consultation with the Police Intellectual Property Crime Unit, Intellectual Property Office, Police Scotland, and anti-piracy outfit Entura International. It begins by noting that the vast majority of the British public aren’t involved in the consumption of infringing content. “The most recent stats show that 75% of Brits who look at content online abide by the law and don’t download or stream it illegally – up from 70% in 2013. However, that still leaves 25% who do access material illegally,” the report reads. The report quickly heads to the topic of ‘pirate’ set-top boxes which is unsurprising, not least due to FACT’s current focus as a business entity. 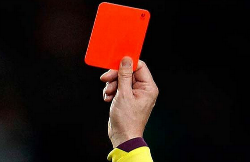 While it often positions itself alongside government bodies (which no doubt boosts its status with the general public), FACT is a private limited company serving The Premier League, another company desperate to stamp out the use of infringing devices. Nevertheless, it’s difficult to argue with some of the figures cited in the report. of years,” the Intellectual Property Office reveals. Interestingly, given a growing tech-savvy public, FACT’s report notes that ready-configured boxes are increasingly coming into the country. “Historically, individuals and organized gangs have added illegal apps and add-ons onto the boxes once they have been imported, to allow illegal access to premium channels. However more recently, more boxes are coming into the UK complete with illegal access to copyrighted content via apps and add-ons already installed,” FACT notes. While FACT press releases regularly blur the lines when people are prosecuted for supplying set-top boxes in general, it’s important to note that there are essentially two kinds of products on offer to the public. The first relies on Kodi-type devices which provide on-going free access to infringing content. The second involves premium IPTV subscriptions which are a whole different level of criminality. Separating the two when reading news reports can be extremely difficult, but it’s a hugely important to recognize the difference when assessing the kinds of sentences set-top box suppliers are receiving in the UK. Nevertheless, FACT correctly highlights that the supply of both kinds of product are on the increase, with various parties recognizing the commercial opportunities. “A significant number of home-grown British criminals are now involved in this type of crime. Some of them import the boxes wholesale through entirely legal channels, and modify them with illegal software at home. Others work with sophisticated criminal networks across Europe to bring the boxes into the UK. “They then sell these boxes online, for example through eBay or Facebook, sometimes managing to sell hundreds or thousands of boxes before being caught,” the company adds. The report notes that in some cases the sale of infringing set-top boxes occurs through cottage industry, with suppliers often working on their own or with small groups of friends and family. Invetiably, perhaps, larger scale operations are reported to be part of networks with connections to other kinds of crime, such as dealing in drugs. “In contrast to drugs, streaming devices provide a relatively steady and predictable revenue stream for these criminals – while still being lucrative, often generating hundreds of thousands of pounds a year, they are seen as a lower risk activity with less likelihood of leading to arrest or imprisonment,” FACT reports. While there’s certainly the potential to earn large sums from ‘pirate’ boxes and premium IPTV services, operating on the “hundreds of thousands of pounds a year” scale in the UK would attract a lot of unwanted attention. That’s not saying that it isn’t already, however. 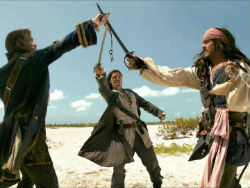 Noting that digital piracy has evolved hugely over the past three or four years, the report says that the cases investigated so far are just the “tip of the iceberg” and that many other cases are in the early stages and will only become known to the public in the months and years ahead. Indeed, the Intellectual Property Office hints that some kind of large-scale enforcement action may be on the horizon. “We have identified a significant criminal business model which we have discussed and shared with key law enforcement partners. I can’t go into detail on this, but as investigations take their course, you will see the scale,” an IPO spokesperson reveals. While details are necessarily scarce, a source familiar with this area told TF that he would be very surprised if the targets aren’t the growing handful of commercial UK-based IPTV re-sellers who offer full subscription TV services for a few pounds per month. “They’re brazen. Watch this space,” he said. Right now, the English Premier League is engaged in perhaps the most aggressively innovative anti-piracy operation the Internet has ever seen. After obtaining a new High Court order, it now has the ability to block ‘pirate’ streams of matches, in real-time, with no immediate legal oversight. If the Premier League believes a server is streaming one of its matches, it can ask ISPs in the UK to block it, immediately. That’s unprecedented anywhere on the planet. 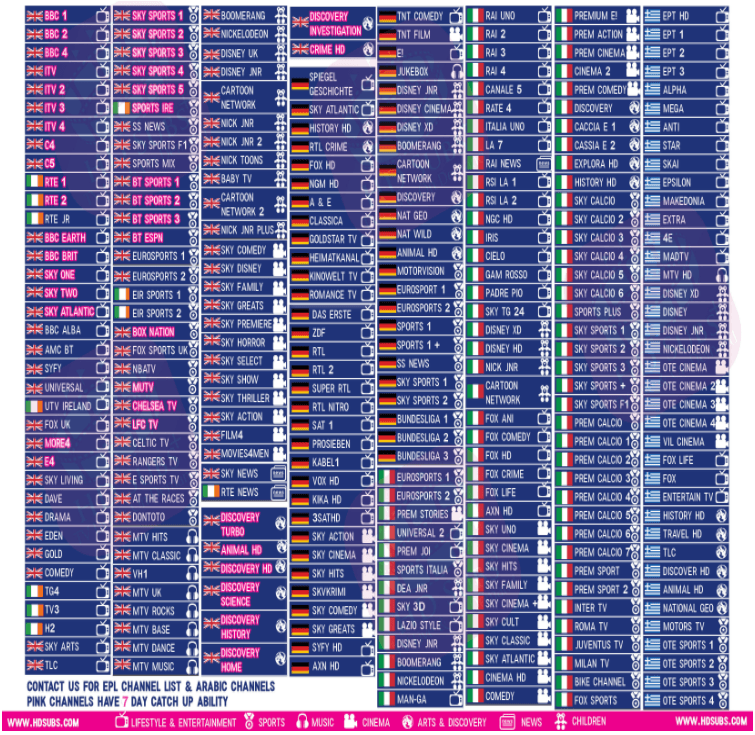 As previously reported, this campaign caused a lot of problems for people trying to access free and premium streams at the start of the season. Many IPTV services were blocked in the UK within minutes of matches starting, with free streams also dropping like flies. 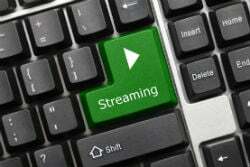 According to information obtained by TF, more than 600 illicit streams were blocked during that weekend. While some IPTV providers and free streams continued without problems, it seems likely that it’s only a matter of time before the EPL begins to pick off more and more suppliers. To be clear, the EPL isn’t taking services or streams down, it’s only blocking them, which means that people using circumvention technologies like VPNs can get around the problem. However, this raises the big issue again – that of continuously increasing costs. While piracy is often painted as free, it is not, and as setups get fancier, costs increase too. Below, we take a very general view of a handful of the many ‘pirate’ configurations currently available, to work out how much ‘free’ piracy costs these days. The list is not comprehensive by any means (and excludes more obscure methods such as streaming torrents, which are always free and rarely blocked), but it gives an idea of costs and how the balance of power might eventually tip. On a base level, people who pirate online need at least some equipment. That could be an Android smartphone and easily installed free software such as Mobdro or Kodi. An Internet connection is a necessity and if the EPL blocks those all important streams, a VPN provider is required to circumvent the bans. Assuming people already have a phone and the Internet, a VPN can be bought for less than £5 per month. This basic setup is certainly cheap but overall it’s an entry level experience that provides quality equal to the effort and money expended. For those who like their matches on the big screen, stepping up the chain costs more money. People need a TV with an HDMI input and a fast Internet connection as a minimum, alongside some kind of set-top device to run the necessary software. Android devices are the most popular and are roughly split into two groups – the small standalone box type and the plug-in ‘stick’ variant such as Amazon’s Firestick. These cost upwards of £30 to £40 but the software to install on them is free. 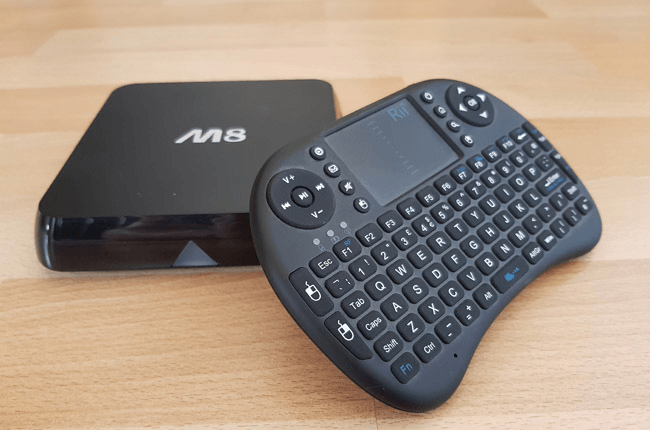 Like the phone, Mobdro is an option, but most people look to a Kodi setup with third-party addons. That said, all streams received on these setups are now vulnerable to EPL blocking so in the long-term, users will need to run a paid VPN. The problem here is that some devices (including the 1st gen Firestick) aren’t ideal for running a VPN on top of a stream, so people will need to dump their old device and buy something more capable. That could cost another £30 to £40 and more, depending on requirements. Importantly, none of this investment guarantees a decent stream – that’s down to what’s available on the day – but invariably the quality is low and/or intermittent, at best. At this point, premium IPTV services come into play. People have a choice of spending varying amounts of money, depending on the quality of experience they require. First of all, a monthly IPTV subscription with an established provider that isn’t going to disappear overnight is required, which can be a challenge to find in itself. We’re not here to review or recommend services but needless to say, like official TV packages they come in different flavors to suit varying wallet sizes. Some stick around, many don’t. A decent one with a Sky-like EPG costs between £7 and £15 per month, depending on the quality and depth of streams, and how far in front users are prepared to commit. Paying for a year in advance tends to yield better prices but with providers regularly disappearing and faltering in their service levels, people are often reluctant to do so. That said, some providers experience few problems so it’s a bit like gambling – research can improve the odds but there’s never a guarantee. However, even when a provider, price, and payment period is decided upon, the process of paying for an IPTV service can be less than straightforward. While some providers are happy to accept PayPal, many will only deal in credit cards, bitcoin, or other obscure payment methods. That sets up more barriers to entry that might deter the less determined customer. And, if time is indeed money, fussing around with new payment processors can be pricey, at least to begin with. Once subscribed though, watching these streams is pretty straightforward. On a base level, people can use a phone, tablet, or set-top device to receive them, using software such as Perfect Player IPTV, for example. Currently available in free (ad supported) and premium (£2) variants, this software can be setup in a few clicks and will provide a decent user experience, complete with EPG. 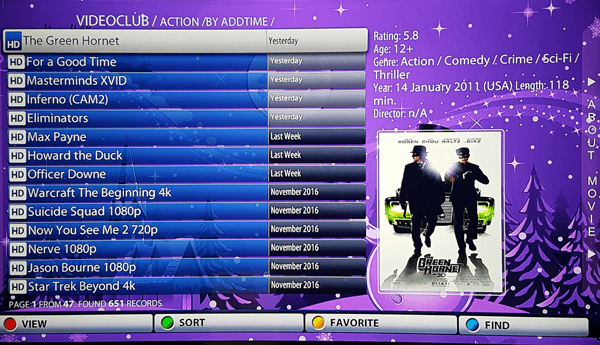 Those wanting to go down the PC route have more options but by far the most popular is receiving IPTV via a Kodi setup. 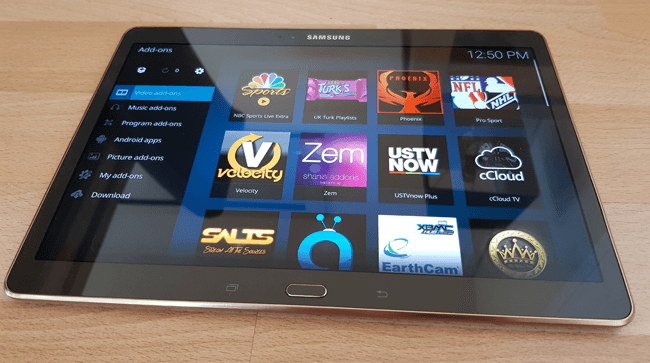 For the complete novice, it’s not always easy to setup but some IPTV providers supply their own free addons, which streamline the process massively. These can also be used on Android-based Kodi setups, of course. 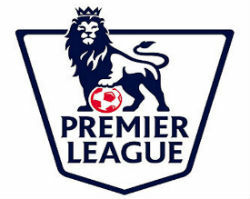 Nevertheless, if the EPL blocks the provider, a VPN is still going to be needed to access the IPTV service. 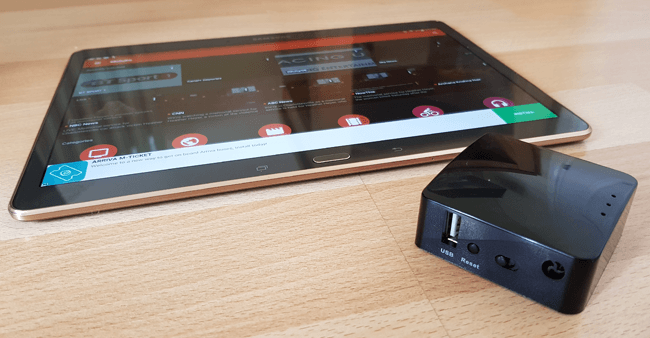 So, even if we ignore the cost of the PC and Internet connection, users could still find themselves paying between £10 and £20 per month for an IPTV service and a decent VPN. While more channels than simply football will be available from most providers, this is getting dangerously close to the £18 Sky are asking for its latest football package. Cost: PC or £30/£50 for set-top box, IPTV subscription £7 to £15pm, £5pm approx for VPN, plus Internet, plus time and patience for obscure payment methods. 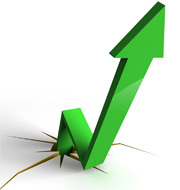 Moving up to the top of the range, things get even more costly. Those looking to give themselves the full home entertainment-like experience will often move away from the PC and into the living room in front of the TV, armed with a dedicated set-top box. Weapon of choice: the Mag254. Like Amazon’s FireStick, PC or Android tablet, the Mag254 is an entirely legal, content agnostic device. 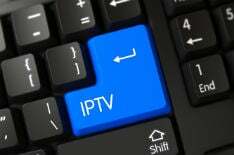 However, enter the credentials provided by many illicit IPTV suppliers and users are presented with a slick Sky-like experience, far removed from anything available elsewhere. The device is operated by remote control and integrates seamlessly with any HDMI-capable TV. Something like this costs around £70 in the UK, plus the cost of a WiFi adaptor on top, if needed. The cost of the IPTV provider needs to be figured in too, plus a VPN subscription if the provider gets blocked by EPL, which is likely. However, in this respect the Mag254 has a problem – it can’t run a VPN natively. This means that if streams get blocked and people need to use a VPN, they’ll need to find an external solution. Needless to say, this costs more money. People can either do all the necessary research and buy a VPN-capable router/modem that’s also compatible with their provider (this can stretch to a couple of hundred pounds) or they’ll need to invest in a small ‘travel’ router with VPN client features built in. These devices are available on Amazon for around £25 and sit in between the Mag254 (or indeed any other wireless device) and the user’s own regular router. Once the details of the VPN subscription are entered into the router, all traffic passing through is encrypted and will tunnel through web blocking measures. They usually solve the problem (ymmv) but of course, this is another cost. Cost: Mag254 around £75 with WiFi, IPTV subscription £7 to £15pm, £5pm for VPN (plus £25 for mini router), plus Internet, plus patience for obscure payment methods. On the whole, people who want a reliable and high-quality Premier League streaming experience cannot get one for free, no matter where they source the content. There are many costs involved, some of which cannot be avoided. If people aren’t screwing around with annoying and unreliable Kodi streams, they’ll be paying for an IPTV provider, VPN and other equipment. Or, if they want an easy life, they’ll be paying Sky, BT or Virgin Media. That might sound harsh to many pirates but it’s the only truly reliable solution. However, for those looking for something that’s merely adequate, costs drop significantly. Indeed, if people don’t mind the hassle of wondering whether a sub-VHS quality stream will appear before the big match and stay on throughout, it can all be done on a shoestring. But perhaps the most important thing to note in respect of costs is the recent changes to the pricing of Premier League content in the UK. As mentioned earlier, Sky now delivers a sports package for £18pm, which sounds like the best deal offered to football fans in recent years. It will be tempting for sure and has all the hallmarks of a price point carefully calculated by Sky. The big question is whether it will be low enough to tip significant numbers of people away from piracy. The reality is that if another couple of thousand streams get hit hard again this weekend – and the next – and the next – many pirating fans will be watching the season drift away for yet another month, unviewed. That’s got to be frustrating. The bottom line is that high-quality streaming piracy is becoming a little bit pricey just for football so if it becomes unreliable too – and that’s the Premier League’s goal – the balance of power could tip. At this point, the EPL will need to treat its new customers with respect, in order to keep them feeling both entertained and unexploited. Fail on those counts – especially the latter – and the cycle will start again. When compared to the wide range of offenses usually handled by the police, copyright infringement is a relatively rare offense. Historically most connected to physical counterfeiting, in recent years infringement has regularly featured a significant online component. Formed four years ago and run by the City of London Police, the Police Intellectual Property Crime Unit (PIPCU) has a mission to tackle IP crime wherever it may take place but with a special online focus. It is tightly linked to the music, movie, and publishing industries so can most often be viewed protecting their products from infringement. PIPCU announced its arrival in the summer of 2013 and officially launched a few months later in December 2013, complete with £2.56million in funding from the UK government’s Intellectual Property Office (IPO). However, the unit had been already in operation for some time, writing warning letters to torrent and streaming site advising them to shut down – or else. PIPCU’s initial funding secured the future of the unit until June 2015 but in October 2014, well in advance of that deadline, PIPCU secured another £3m from the IPO to fund the unit to September 2017. 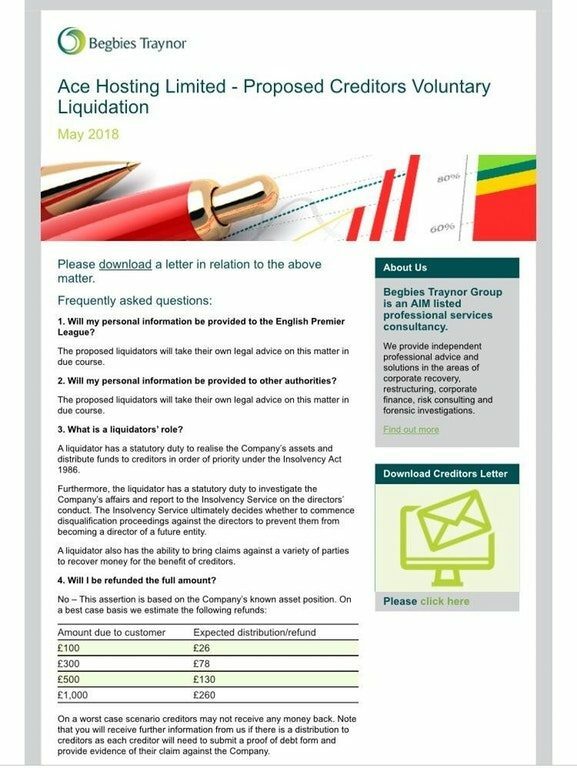 With August 2017 already upon us, PIPCU should be officially out of funds in a month’s time but according to the Law Gazette, the unit is going nowhere. An Intellectual Property Office (IPO) spokesperson told the publication that PIPCU has received £3.32m in additional funding from the government which runs from July 1, 2017, to June 30, 2019 – the unit’s sixth anniversary. Much of PIPCU’s more recent activity appears to have been focused in two key areas, both operated under its ‘Operation Creative’ banner. 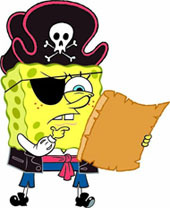 The first concerns PIPCU’s Infringing Website List, which aims to deter advertisers from inadvertently finding ‘pirate’ sites. Earlier this year, PIPCU claimed success after revealing a 64% drop in “mainstream advertising” revenue on 200 unauthorized platforms between January 2016 and January 2017. More recently, PIPCU revealed that gambling advertising, which is often seen on ‘pirate’ platforms, had reduced by 87% on IWL sites over the previous 12 months. Finally, PIPCU has been taking action alongside local police forces, FACT, Sky, Virgin, BT, and The Premier League, against suppliers of so-called ‘fully loaded’ set-top boxes, many featuring Kodi bundled with illicit third party addons. However, after a fairly sustained initial flurry, the last publicized operation was in February 2017.